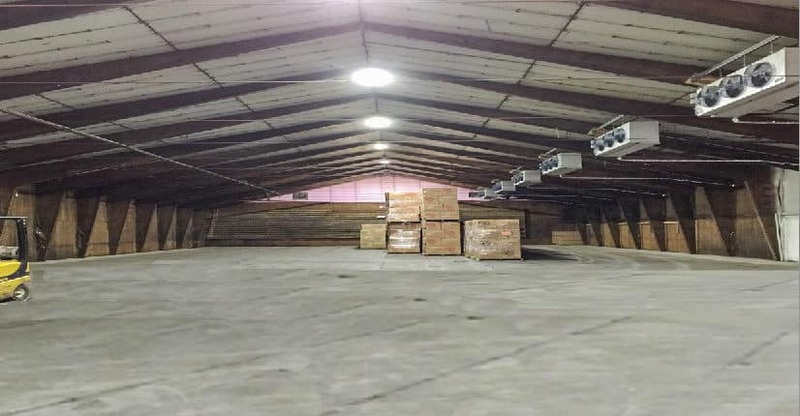 Rent between 2,000 and 27,000 SF of warehouse or cooler space. Also, has plenty of outside storage available as needed. We offer short-term deals only as the space is not available annually between October 15th – December 15th. We have a multi-truck 4-foot dock platform access.